MDF High Gloss Kitchen Doors with a high gloss lacquered finish always look fantastic, add to that the curved convex and concave doors along with numerous accessories and you arrive at a definitive styling statement.Turin Components has an extensive choice of kitchen door styles and finishes to satisfy all tastes. 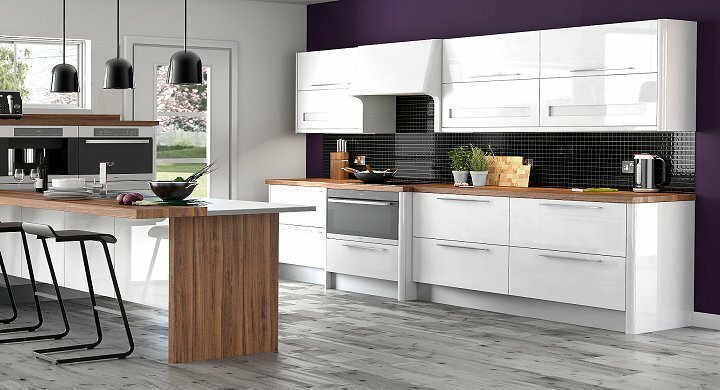 Our kitchen doors bring great aesthetics, versatility and functionality to the kitchen environment and are designed to give years of pleasure. 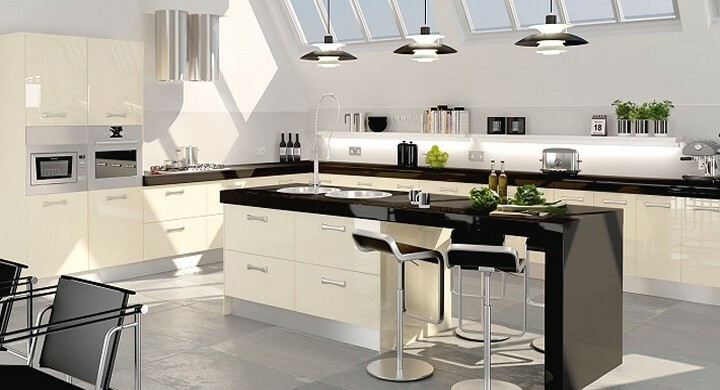 Lucido Black kitchen doors create a sophisticated, contemporary yet classic feel. Lucido Black Gloss is an 18mm thick door. Matching glazed doors and drawer fronts, curved door, end panels, cornice/pelmet, plinth and corner post are available. 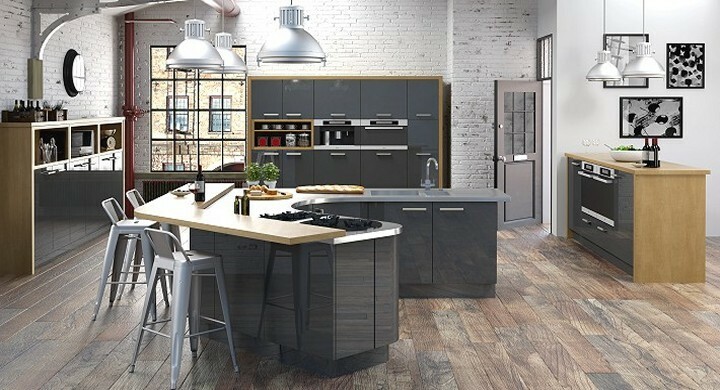 Lucido Latte kitchen doors satisfy current trends for sophisticated minimalist natural styling. 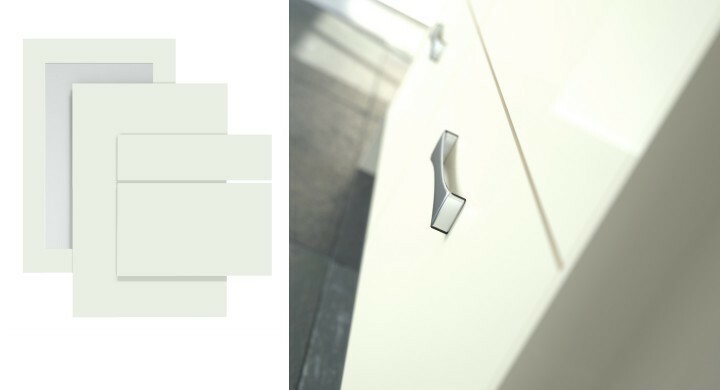 Lucido Latte Gloss is an 18mm thick door. 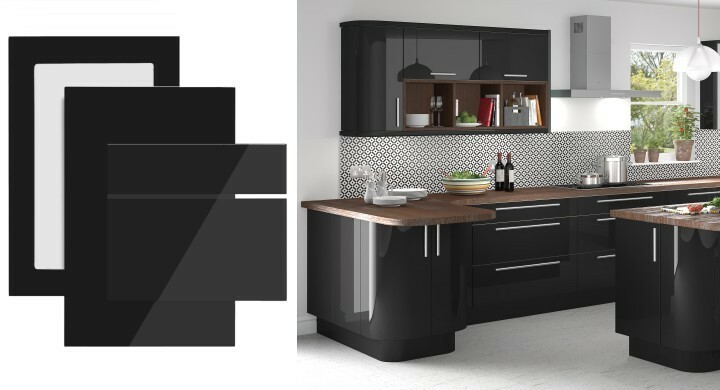 Matching glazed doors and drawer fronts, end panels, cornice/pelmet, plinth and corner posts are available. Lucido White’s ripple free surface creates a highly reflective and minimalistic style. 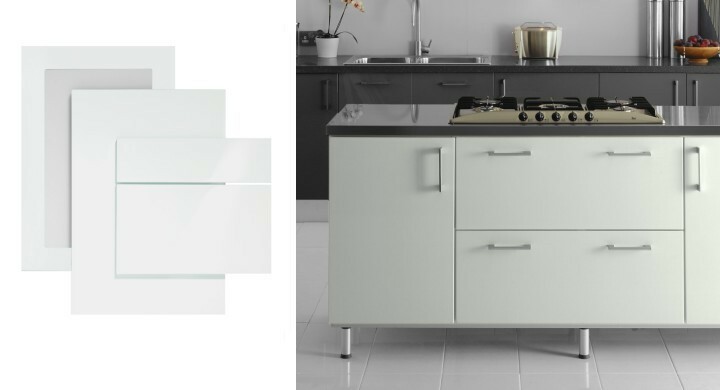 Lucido White Gloss is an 18mm thick kitchen door. Matching glazed doors and drawer fronts, end panels, cornice/pelmet, plinth and corner posts are available. 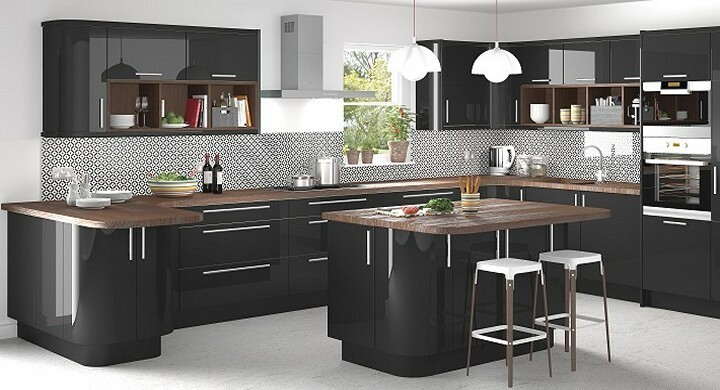 Lucido Anthracite brings a rich, distinctive and elegant colour to our high gloss kitchen door range. 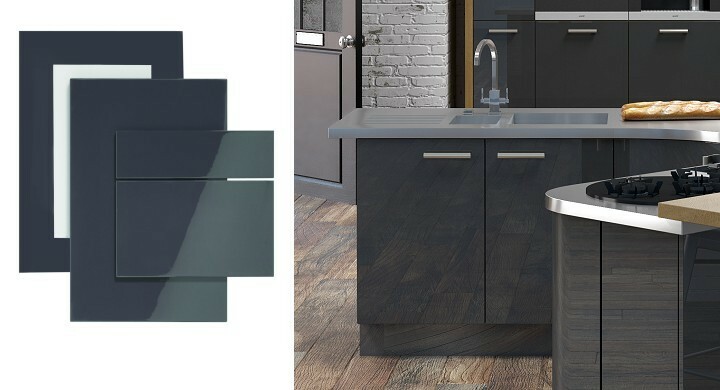 Lucido Anthracite Gloss is a 18mm thick door. Matching glazed doors and drawer fronts, end panels, cornice/pelmet and plinth. 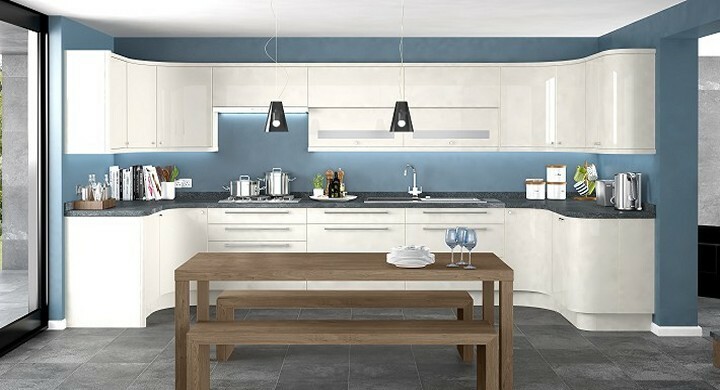 Lucido Alabaster has a rich and distinctive shade to and is our lartest addition to the Lucido high gloss kitchen doors range. Lucido Alabaster is a 18mm thick kitchen door. 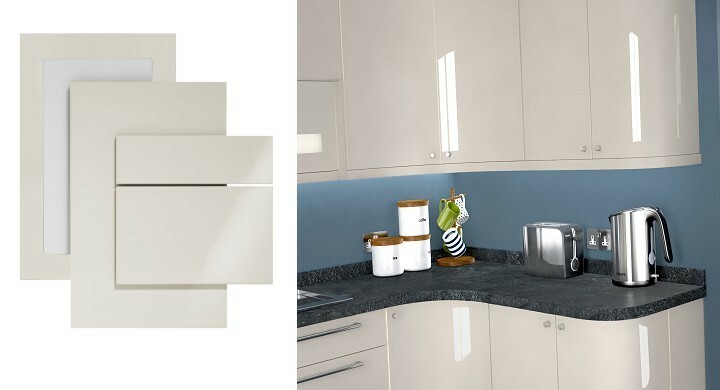 Matching glazed doors and drawer fronts, end panels, cornice/pelmet and plinth are available.